Do you have a friend who picks trash for you? She's picked me some really cool stuff. But occasionally she picks stuff for herself. Sometimes it's the right thing to do though. But sometimes I know it isn't right. And I have to wait patiently for a year or two while it sits in her garage until she comes to her senses and realizes that the right thing to do is give the trash to its rightful owner. It was meant to be mine. When I say mine, I mean Sammy's. So it's been hanging out in my kitchen for a few months now. Sammy uses it to hangout on. It keeps him closer to the action. We liked it just fine. Just clothed in it's own chippiness. I was given the basket. A basket filled with Mr Quirky's mother's unfinished yarn projects. This is something that all women of a certain age have. 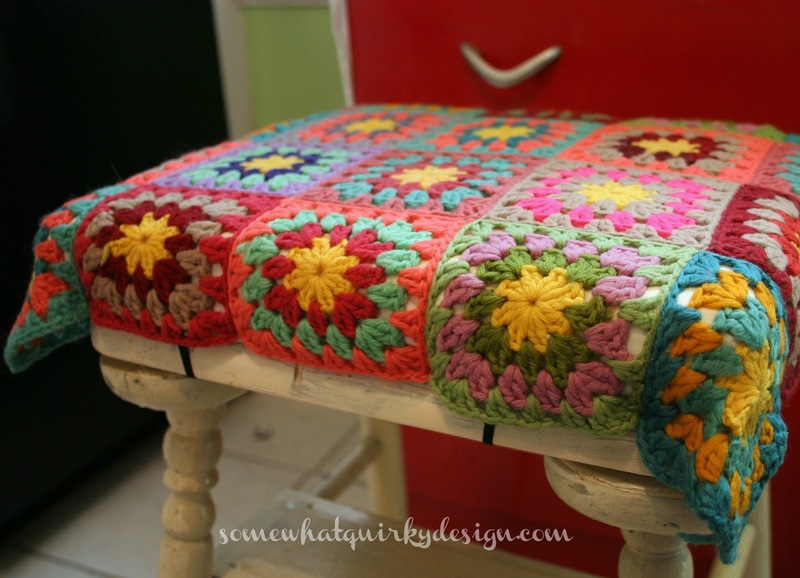 These granny squares - along with many other things - were in the basket. In the beginnings of the Pinterest. 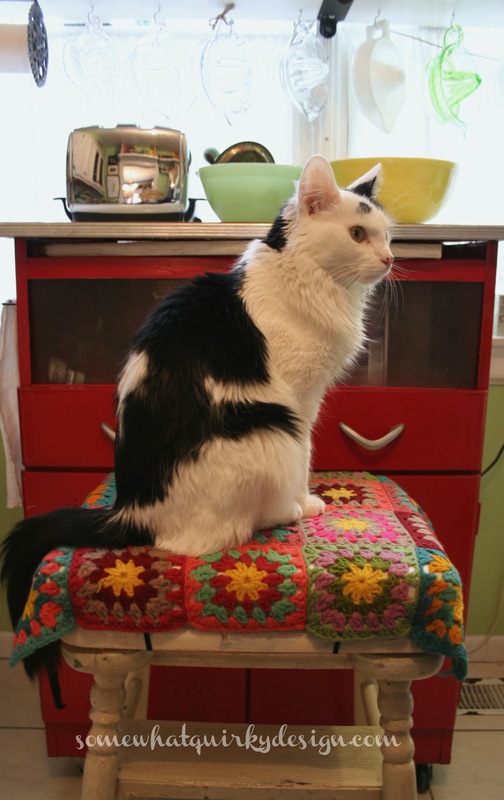 They win the prize for best use of granny squares. EVER. I thought I would attempt a little knock-off. And I like the little cushion and slip cover that I made. 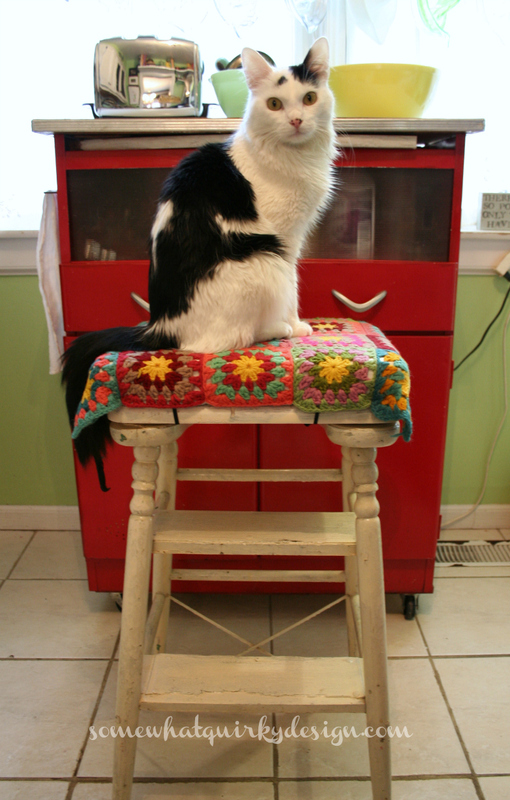 But I don't like it nearly as much as the inspiration stools. The basket didn't include any appropriate yarn to crochet little side skirts with. So I'll be on a hunt for an appropriate yarn to do that. Until then, Sammy and I will be enjoying it just like it is. I think I'll paint it as well. But I'll have to stare at it awhile. And probably figuring out how to make one or two of those inspiration pieces. I love it but it just didn't work. Thank goodness for clean out days. What would Sammy do otherwise? I rather like the chippy, myself. But if you want to paint it, you have my permission. As well, as Sammy being allowed to 'hangout' there. - said the woman of a certain age! How cool! 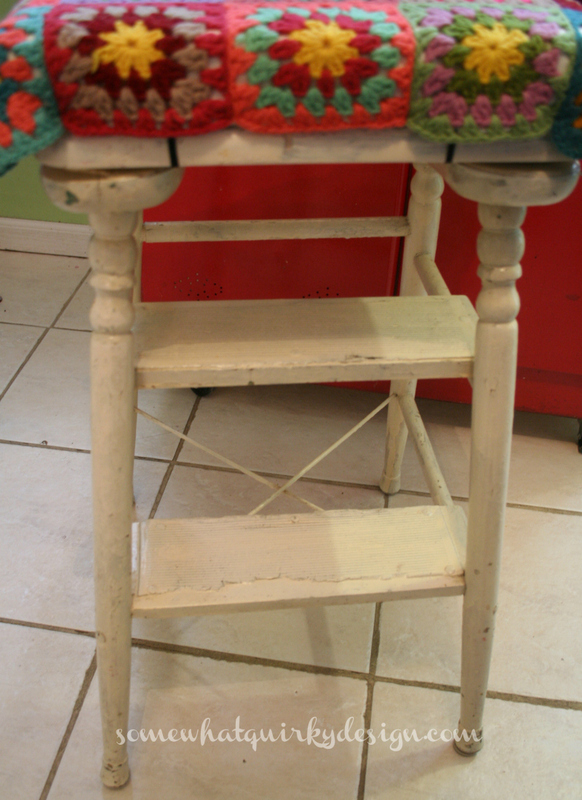 Now you've reminded me that I have a vintage step stool as well. I think it's out in the shed. 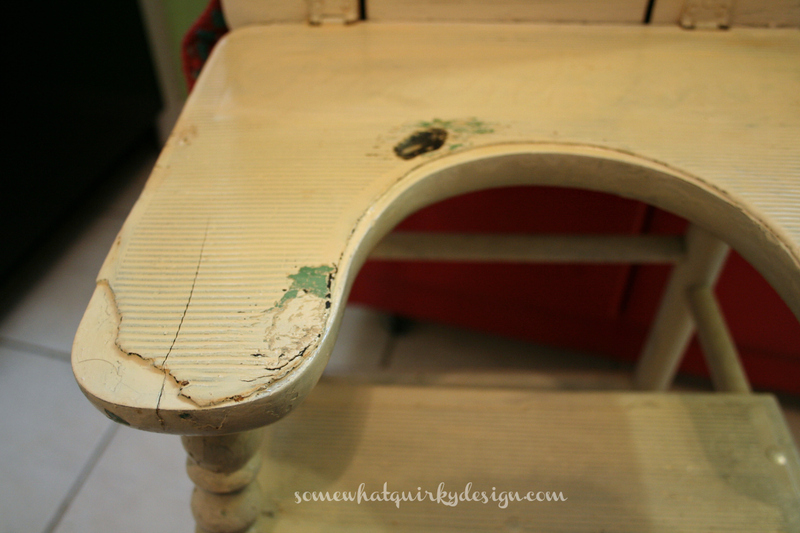 Needs repair. Maybe I'll put it in Sams shop and see how long it sits there. Looking forward to seeing what you do with this. 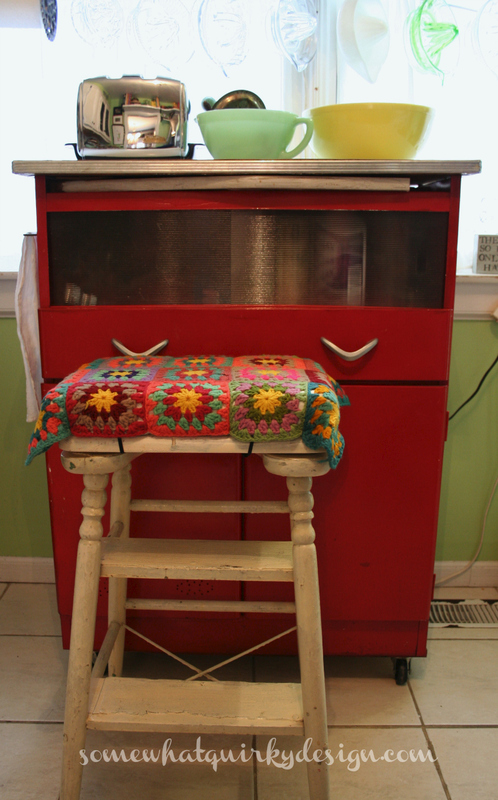 Granny chic, for sure. I love it. What a crummy day for me. Thanks for putting a smile on my face as I lay my head down to bed! I did notice Sammy is posing. 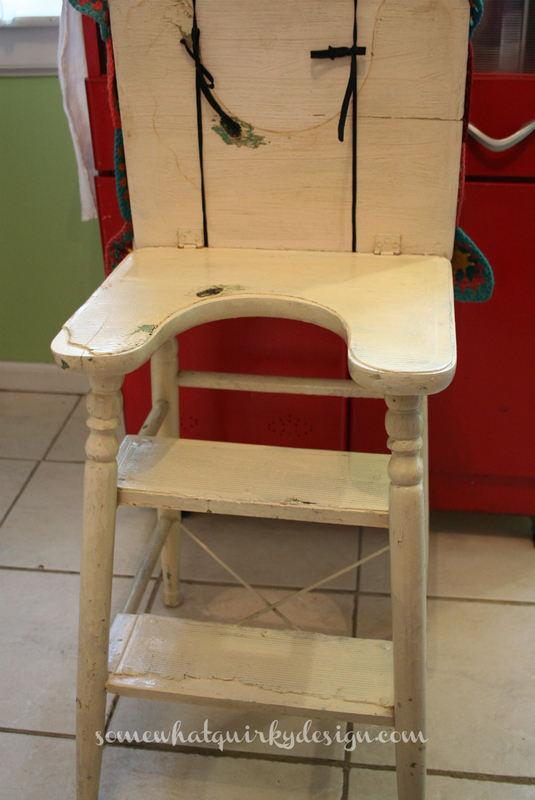 Ooh, I love that stool in all it's glorious chippiness. Sammy is one lucky guy. Oh, it looks so cute and it's perfect for Sammy! 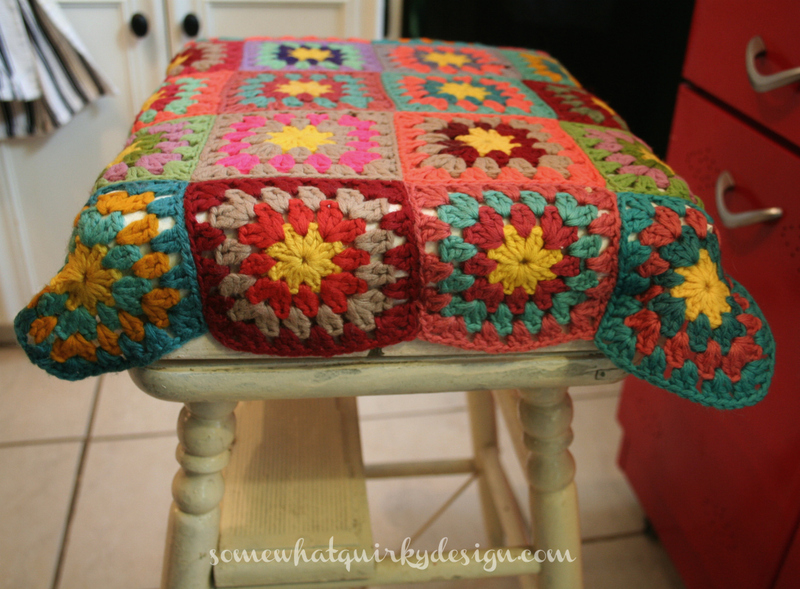 I myself like granny squares... but only when they are used in applications such as this! 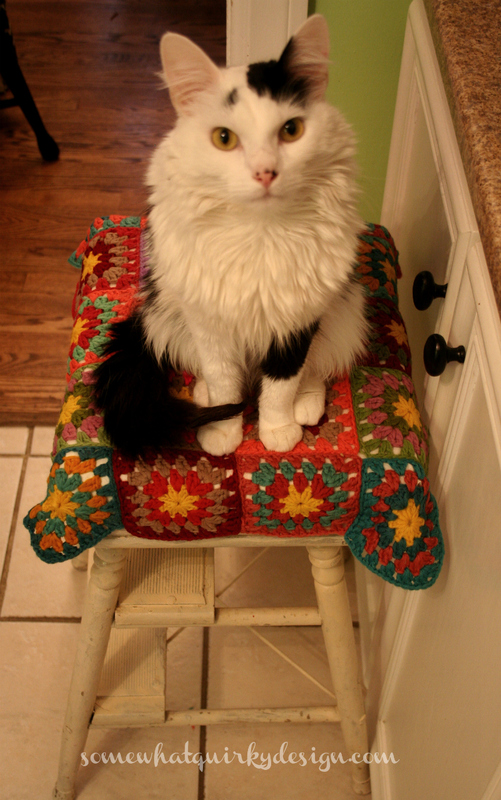 Sammy seems quite pleased with his stool. Maybe he has an eye for those things too.